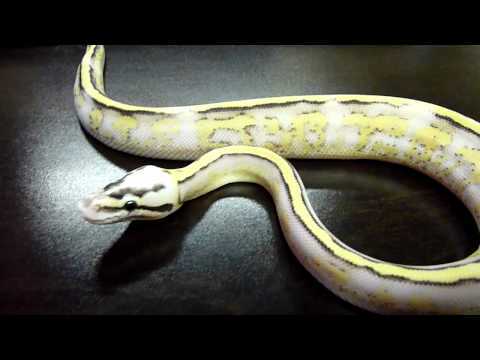 YouTube - Ben Siegel gives you a quick glimpse of these beautiful Super Stripe Ball pythons. BloodPythons.com - Tim Mead shows off two incredible 75% VPI super stripe blood pythons. Bush League Breeders Club - Take a look at these beautiful ball pythons recently hatched out by Jeff Benfer. YouTube - Ben Siegel shares a quick vid of this outstanding Ball python! Kingsnake.com - Check out these unique ball python siblings from an exciting champagne clutch. Kingsnake.com - A breeder lucks out when a clutch of pied ball pythons clearly demonstrates two impressive sires.